Mike is a lifelong resident of the Hanover area and a graduate of York Technical Institute and the Real Estate Institute. His professional accomplishments include Rookie of the Year, 5 x Multi Million Dollar Producer, and the Beyond Excellence Award. Mike prides himself on providing competent, reliable and honest service to his clients. 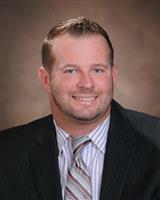 If you are considering selling or buying a home, call Mike for a consultation on how to begin the process today.